Cardno, Inc. has announced that Brian McRae, PE, QSD/QSP has joined the firm as a senior consultant in the company’s Reno, Nevada office. He has 22 years of experience as a civil engineer, specializing in recreation, water quality, and infrastructure projects throughout California and Nevada. McRae’s previous work includes support for the design and planning of over a dozen miles of bike trails in northern Nevada and California. His project expertise includes construction management, stormwater quality, erosion control, geotechnical engineering, and water rights. 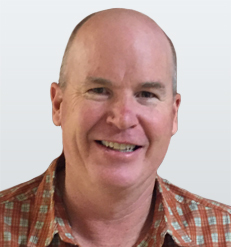 Brian is an active member of the International Erosion Control Association, the American Society of Civil Engineers, and the American Public Works Association. With some 6000 staff members in over 130 offices around the world, Cardno is a professional infrastructure and environmental services company with specialist expertise in the development and improvement of physical and social infrastructure for communities around the world. Cardno’s team includes professionals who plan, design, manage, and deliver sustainable projects and community programs. For more information, visit www.cardno.com.